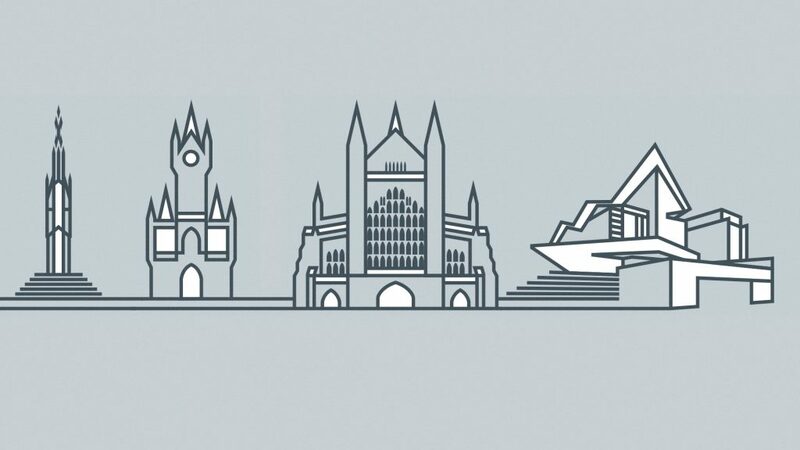 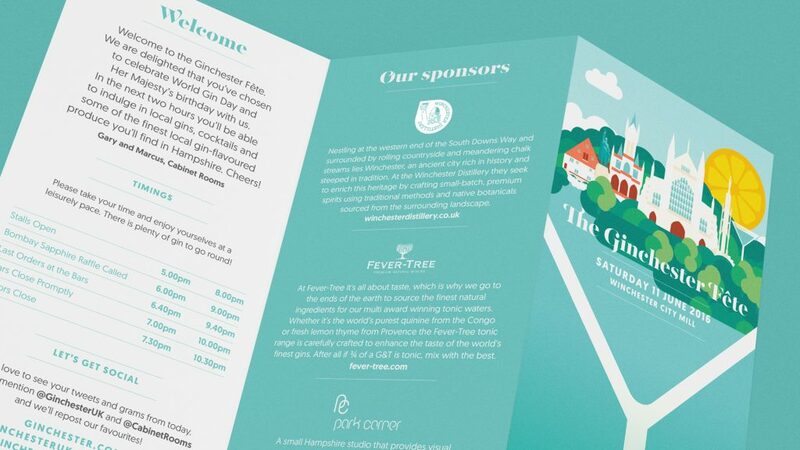 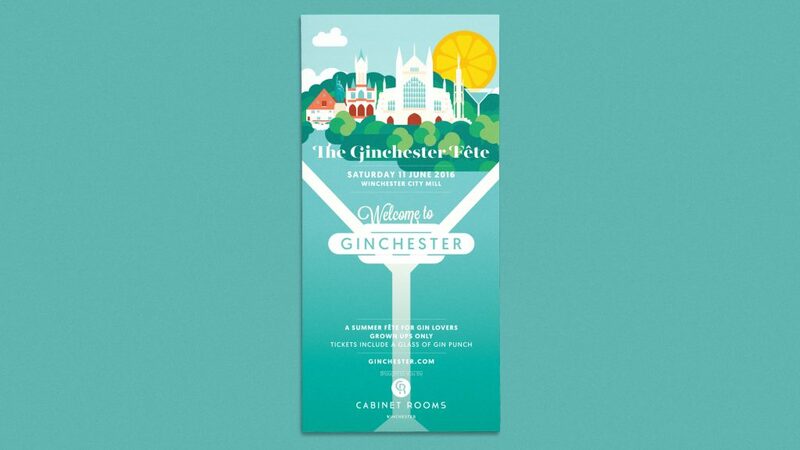 As part of Cabinet Rooms broader scope to ‘enable enthusiastic imbibers,’ we illustrated a magical gin-scape as the location of Ginchester where you’ll find ‘The Ginchester Fête’ – a social event with locally produced food and drink, where it’s always sunny and there’s always ice for your G&T. 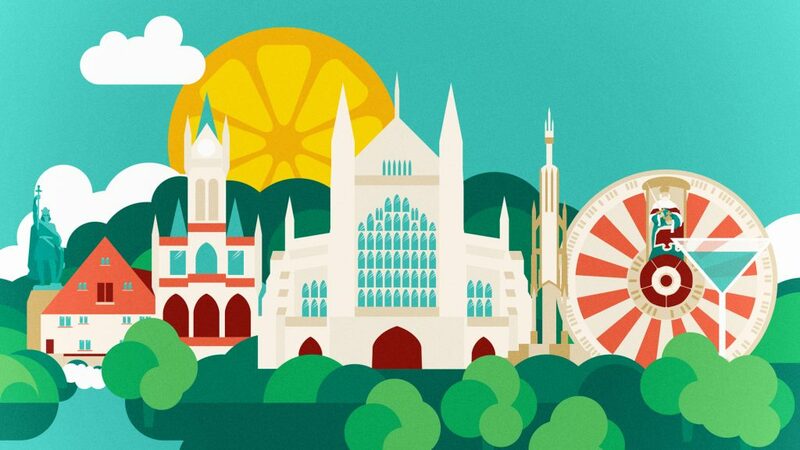 This is a very graphic representation with a limited, flat colour palette almost bleached, where the sun is a slice of lemon and the gin becomes a part of the landscape. 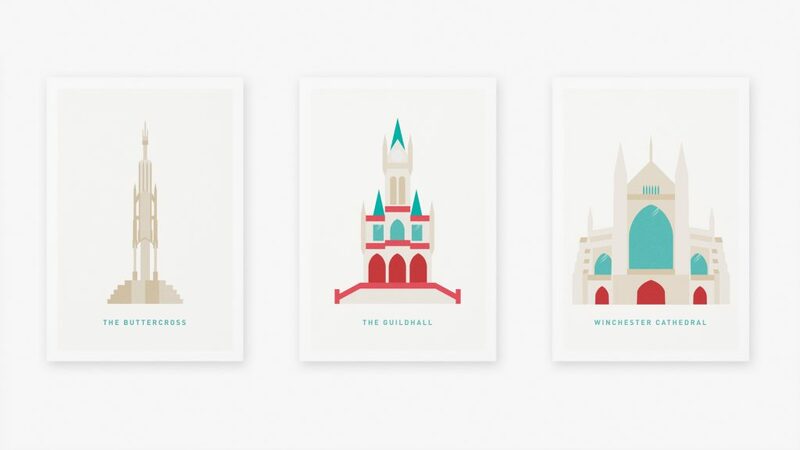 You might also notice Winchester’s Buttercross in there – in fact, 50 towns across England have a buttercross, traditionally the centre of a market, where people would sell their produce from its steps or from nearby stalls. 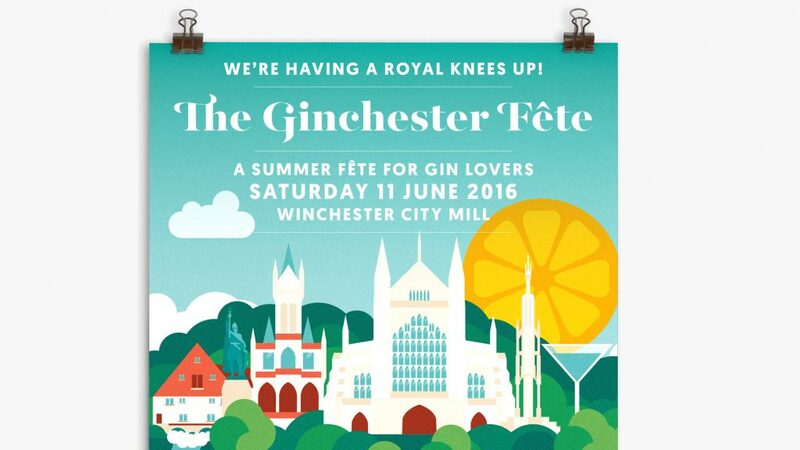 Today, it’s still a focal point and meeting place in Winchester and the inspiration behind our own business name!